Although Vladimir Putin claims to want to save the tigers, there are only 500 Siberian tigers remaining in the wild in Eastern Russia and the bordering areas. Along with encroaching human populations and deforestation (much of it illegal), a huge problem that is driving tigers ever faster towards extinction is poaching. Rangers in the tiger reserves in Eastern Russia are able to catch some of the poachers, but poachers still get through and drive the Siberian Tiger population down even more. For many tiger lovers, or anyone who cares about endangered species, a gut reaction is to hate those who are doing the poaching. 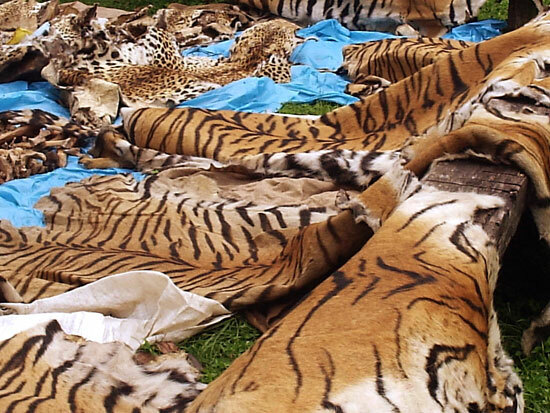 What poachers do is abhorrent and seeing photos of the piles of confiscated tiger pelts enrages me. But Pavel Fomenko’s (WWF Russia Program Coordinator) comment helped me look at the issue differently. He said that seeing tigers in the wild is an indicator that society is functioning well. We are morally bound to take care of our families first. 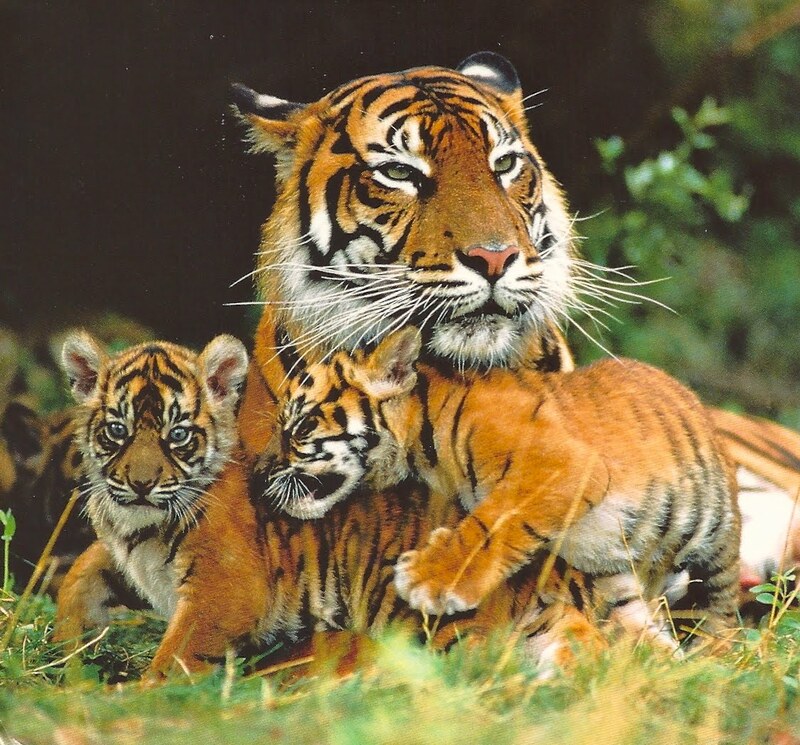 Many people would sacrifice a member of an endangered species, such as a tiger, for their families. While it is painful to think about, it would be justified. However, what if we can prevent people from ever needing to make this decision? If we can keep society functioning so that people do not need to resort to poaching, it would do a great deal more good than funneling money into anti-poaching activities. That approach is reactive and does not go to the root of the problem. It is time to play offense and start being proactive in our approach. This is not to say that we should stop funding protection for these animals. It just means that we cannot ignore the needs of the people who live near the animals we love. Ecotourism has been a successful means of protecting species and promoting local economies. This might be one method of preventing people from turning to poaching because they would be destroying their own livelihood by killing the animals people come to see. Even if ecotourism would not be practical in the whole of the Siberian tiger’s range, it is time to get creative about sustaining a functioning society. We cannot solely dump money into defensive strategies for endangered species protection. We need to look at the broader picture and at factors which we do not always associate with animal conservation. We can punish poachers, criminalize poaching more, and spend huge amounts of money prosecuting them. However, in an ethical battle between choosing the tiger’s survival and a poacher’s family, the tiger never wins. For more information on Tiger trafficking go here. Great post – really informative and considered. I’d be interested to know how lucrative a trade it really is. I’m not sure that the subsistence argument really counts for much these days, seeing as illegal poaching is big business. There is a huge difference between traditional ‘bushmeat’ po aching and endangered species poaching. Thank you for the comment! I should have been more clear about what I meant by the poacher needing to choose between feeding his or her family and poaching the tiger. I meant that when a poacher kills the endangered species, he or she sells the animal in order to make money. The poacher then uses that money to pay for food for the family, as opposed to eating the tiger. I hope that helps clear things up! I could certainly do more research in how lucrative the poaching of tigers is for poachers.